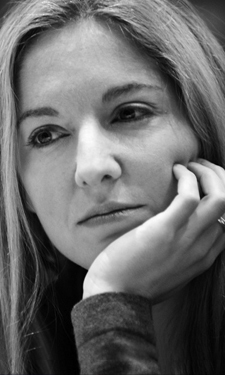 Victoria Coren Mitchell - Blog - Would I Lie To You? Yes, another panel show! (Tonight at 9.30 on BBC One). Hot on the heels of Have I Got News, and then I’m doing a different one in November. It’s that time of year. I have also said no to some, I promise; after these three, I’ll shut up again (apart from Only Connect, of course). What I’ll say about WILTY is: don’t expect me to say anything funny. You might not anyway. But I do usually try to be a bit amusing on these panel things, if I can think of anything. In this case, I was FAR TOO OBSESSED with the mechanics of the game. I couldn’t think about anything else. If you don’t know the format, it involves trying to work out who’s lying and who isn’t. I think I must have felt that my pride as a poker player was on the line: I’ve often watched these RANK AMATEURS on the show, these actors and singers and comedians, these Michael Aspels and Louie Spences, having a random crack at truth analysis, and chuckled quietly to myself at the obvious tells they’ve missed. Nobody could accuse me of being a big name guest, but I could surely be the best at the game? God knows it has been a nightmare for friends, boyfriends and family, my irritating habit of saying “Wait a minute… you just said something that wasn’t true…”; combine that with a competitive spirit, and you’ve got a panel show appearance which is heavy on concentration, light on entertaining quips. Ah well. Poker players: if you watch, I’d be interested to know how you score yourselves. Have fun and I hope you do well. I think you did well. It helps to have a human version of Mariella Frostrup’s voice, of course . . . if you see what I mean. I’m a poker player and got 4/6 right. I got the car 4 tapas and the buried diamonds wrong. Rhod was a bit too relaxed thinking about it now. Intrigued to know how you intuitively knew the testicle measuring device was not fake from first sight. Points to a mis-spent youth of some kind. Good one with McKenzie, I thought the same. What’s all this about Boyfriend(S) - plural? Good god woman how do you find the time for column writing, poker playing, game show appearances and servicing multiple lovers. Impressed….. I thought you were brilliant sussing McKenzie Crook. What gave him away? Having someone actually take it seriously provided its own entertainment. Plus you sell yourself a little short, your perfectly natural “You’d be surprised” to Lee Mack left me in hysterics. I look forward to your next appearance in November! I’d never watched the show before but surprised myself by getting it almost 100% right. I just guessed that you’d be the one made to tell a lie about my namesake helping you with crosswords. One thing I did notice (it couldn’t have had anything to do with your lying as you were like that all the time) but your pupils were always contracted, making your eyes much bluer that usual – quite unlike when you’re on OC. Incidentally Vicky, you were absolutely hilarious – scratches nose, shuffles feet, pupils contract, blinks profusely…. P.S. The password I had to type in (couldnt) had a missing apostrophe! I think I love you! Cool, smart and a bluffer of real merit, the poise of a woman and the looks of a girl. Sadly, there’s no chance you’re single!! Don’t expect me to say anything funny ? On WILTY that would have been a first….. When Lee Mack said he would get out his privates under the table to measure them, your comment to him was hilarious, as funny as Jo Brand’s mivvi joke on HIGNFY last week. Another great performance from you Victoria. I love watching you on television. But is Tennis Tim a friend of yours anyway, Victoria, even without crossword collaboration? & its webmaster (me) and John Richards (whom you have met), its Chairman. We would love to put a piece by you about your appreciation of good apostrophe use on our website (+ pic). Any chance? Very impressive reading of Mackenzie Crook and his fake diamond story! You didn’t have to say anything funny. One of the funniest things in the whole show was the very idea that someone as intelligent as David Mitchell + team would think that a member of one of this country’s most famous literary families,who earns her living from words, would phone Tim Henman to ask him the answer to Crossword clues. Hilarious! I got the first one right, but by then those two blokes on your team were really getting on my nerves and I had to switch channel. They were just far too loud, and not very funny with it, and they wouldn’t shut up. They reminded me of removal men, and they’re never funny. I’m sure you stole the show, you always do, and thankfully you do it in a nice relaxed way. That’s quite a rare approach to television these days, good for you. First time caller, long time listener, as they probably don’t still say on the radio. Just wanted to add my 0.6 euro to the general chorus of approval. Also, could you help me settle a small domestic debate? Was there, or was there not, a lady in full Welsh traditional dress in the front row? And, does this have anything to do with Rhod Gilbert’s contract riders? I’ve watched you on almost all of the panel shows you’ve appeared on, and have loved your appearances. Then I learned of your writing, your father, and your poker skills, and now I’m a true fan. One day I hope to meet you on the “field of battle”, if my poker playing will improve enough to reach your level. I’ve already learned a lot from your articles, blog and Pokerstar articles. Keep up the fantastic work!! I thought the idea of you being on a show where you need to separate truth from lies would be brilliant to watch…and it really was! You showed amazing certainty and you managed to be hilarious at the same time, so kudos to you! It was also good to see a woman on the show who didn’t give off an air of being completely useless. Looking forward to whatever show it is you’re doing next and don’t hide away after the third one! I just read your piece in today’s Observer about John Hemming (sorry, couldn’t find anywhere else to post this). You are dead right - he is more than a ‘total swine’. Thanks for making sense of this - all the other reportage I’ve seen has been focused on the ‘mad wife, no wonder he was having an affair’ angle. Let’s hope the judge sees sense when it comes to (not) sentencing Christine. I read last Sunday’s Observer about puppy-eating, laughing my head off in the train. Very embarrassing. This Sunday’s on wronged women was funny - and very moving. I may be falling in love with you, but want to make sure you wouldn’t steal my rugby ticket money to pay your weekly gambling debts before I commit myself. No, don’t worry, I don’t stalk. Loved seeing you on WILTY. My sister and I both love Poker (though far from professionally), and we’re both extremely good at WILTY. We almost always get it right, more often than the panelists do. I wondered, can you easily see the other team’s facial expressions when you’re actually on the show? We can see closeups of faces, which helps our ability to tell, but I wasn’t sure if the teams have that ability. We thought your well-timed comments, though rare-ish, were hilarious. As a poker player, I totally knew you were lying, (I have this illusion of knowing you just by following you on twitter for over a year) and I was wrong about the other guys lol - but I was very impressed with your body language reading skills. Seeing as you knew David Mitchell didn’t know that guy from the start your skills at figuring out who did know him didn’t seem that impressive. 50/50 - good odds. Not really sure what you mean, Potato. I didn’t “know” anything apart from what my instincts told me, it doesn’t work like that. You have private meeting with a producer in which you tell them a few things, and you turn up not knowing what will be on your cards or anyone else’s. It might be one of the true stories you told the producer, or something untrue you’ve never seen before, and you certainly don’t know what anybody else is doing or who the extra guest is going to be. On that one, David Mitchell’s story seemed unlikely (how would they have found the guy?, he wouldn’t have left contact details at a book signing); Chris Packham’s story seemed reasonably likely on paper but he just talked like a man who was bluffing; Mackenzie Crook was the one with the tells of a truth-speaker. Quite apart from that, I guessed the producers wouldn’t invent a story about buried treasure for someone who’s most famous for a film about treasure. That could have been a double bluff, of course, but I chose to bet otherwise. I was at the recording, which was blooming months ago, and what you didn’t see on telly was VC coming on stage at the start in her coat and carrying her handbag. She then stuffed them down by the side of her chair and moaned about not being called promptly. It was all very lovely. Also you will have missed my family all whooping with delight when we realised that Only Connect’s very own hostess was going to be a guest and then laughing as she trudged on avec coat and accoutrement. I fell a little bit in love with VC that night.